Jen Schwanke began her career as a language arts educator and is currently a principal for the Dublin City School District in Dublin, Ohio. A graduate instructor in educational leadership, she has written frequently for literacy and educational leadership publications and blogs about her experiences in learning and leading at jenschwanke.com. Follow Schwanke on Twitter @Jenschwanke and Instagram @jenschwanke. 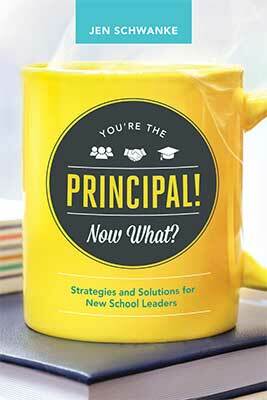 Candid advice and specific, practical strategies to help new principals meet the challenges of the job and thrive as a leader.